Federal agent Brenton Easter ’02 tracks down cultural treasures stolen from temples and monuments all over the world, and restores them to their rightful place. Easter flanked on his right by a South Indian sculpture (date unknown) and on his left by a Gandharan monumental bodhisattva (2nd-3rd century). Seated in a graceful pose, Parvati wears an elaborate pointed headdress but not much else. Her bare breasts are very round. Her face is utterly serene. If she were standing upright, she’d measure less than 2 feet tall. For the better part of a millennium, this small bronze sculpture of the Hindu goddess of fertility and love dwelt in a temple in southern India’s Tamil Nadu region. To believers, she was no mere image but an actual deity. Wife of the powerful god Shiva, she blessed her followers with health, children and prosperity. In early 2006, she vanished. Local residents were distraught, desperate. What happens when your god goes missing? Who could find Parvati? Brenton Easter ’02 and his fellow special agents at Homeland Security Investigations (HSI) could. An arm of U.S. Immigration and Customs Enforcement (ICE), HSI comprises several elite crime-fighting squads. One is Easter’s team, the Cultural Property Division, which tracks down art and antiquities that are looted from such places as India, Afghanistan, Italy, Nepal and Thailand, and then shipped illegally through international ports. To date, the Cultural Property Division has located an estimated $250 million worth of artifacts, repatriating many of them to the countries where they belong. And Easter, who grew up idolizing Indiana Jones, finds himself — like his hero — leading high-stakes antiquities quests that stretch around the globe. Raised in a rural New England town that boasted some 2,000 people and 2 million chickens, young Easter thirsted for valorous exploits. Other kids dream of becoming firefighters or rock stars. Easter wanted to be Indy. Easter decided to study antiquities. 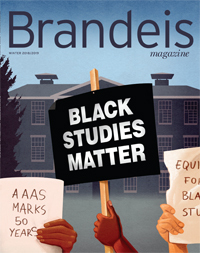 When he was considering colleges, his mother suggested he look at Brandeis, and he liked what he saw. Enrolling at Brandeis proved fortuitous for another reason. At a swim-team orientation, Easter met his future wife, Natalie Ishimura ’01. Anthropology professor Robert Hunt became Easter’s adviser, friend and inspiration. During long discussions in Hunt’s office, however, Easter began to wonder whether pursuing a PhD was the best path for him. His mentor’s life, he noticed, lacked the adventurous edge of Indiana Jones’. A new possibility emerged when Easter read a newspaper story about U.S. Customs agents who pursued missing art and artifacts of cultural significance. Though the article didn’t mention an Ark of the Covenant or a Holy Grail, it described his ideal job to a T. After graduating from Brandeis in winter 2001 with degrees in politics and anthropology, Easter submitted an application to the Immigration and Naturalization Service (INS). When his paperwork got mired in the post-9/11 reorganization of INS into the new Homeland Security department, Easter took a side step over to the U.S. Border Patrol. Stationed at a rural outpost in the high mountain desert 180 miles east of San Diego, he investigated illegal border crossings, narcotics violations, drug-smuggling operations and the occasional murder. In 2004, Easter got the call he’d been hoping for. He shed his Border Patrol uniform and headed to New York as a special agent for Immigration and Customs Enforcement’s HSI team. After six months of law-enforcement training at the ICE Academy, Easter began investigating a range of crimes. But he kept his eye on the prize, making his interest in finding art and cultural artifacts known, loudly and often. Two years later, he joined the Cultural Property Division. 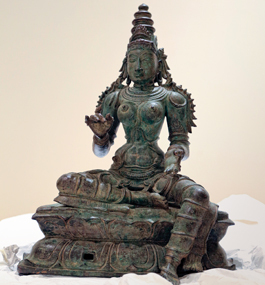 Easter learned of Parvati’s loss in December 2010 when he saw her image on an Interpol website listing stolen antiquities. He added information about her to an enormous database, thousands of entries strong, that he maintains to guide art retrieval and repatriation efforts worldwide. In addition to facts about missing art, the database includes nuts-and-bolts details about shipping manifests and money transfers, to help the HSI team graph the networks that move and sell stolen artifacts. Standing in a secret HSI storehouse crammed with so many deities that it resembles a global graveyard of the gods, Easter says over the past decade his group has repatriated some 7,800 artifacts, tripling the previous record, with thousands more waiting to be researched and returned to their home countries. The process can take Easter and his colleagues years, if not decades, he notes, since removing an artifact from its cultural context makes establishing provenance incredibly time-consuming. Parvati was recovered on Dec. 4, 2012, during an HSI investigation called Operation Hidden Idol. “By the time we caught up with her,” says Easter, “she had been smuggled out of India and passed all around the world,” first to the U.S., then across Europe, and finally back to New York. Such meanderings, Easter says, make an artifact difficult to track, especially when the theft site is an area rich in archaeological treasure and the ultimate destination is an upscale market like Manhattan. Often an underworld trader will wait years before fencing a piece from a high-profile heist, to let the notoriety cool and develop a false provenance. Parvati, a South Indian devi (12th-14th century). Operation Hidden Idol, which began in 2007 and is still active, is among the largest antiquities investigations in U.S. history. It has reclaimed thousands of artifacts, totaling hundreds of millions of dollars, stolen primarily from India, Afghanistan and Southeast Asia. The operation led to the arrest of smuggling kingpin Subhash Kapoor, a once-respected art dealer now awaiting trial in India. When authorities raided Kapoor’s Madison Avenue gallery, Art of the Past, in 2012, his inventory included approximately 2,600 ancient artifacts worth $150 million. Easter says it appears Kapoor used his import-export company to sneak Parvati into the United States in 2006, likely by hiding her in a shipment of handicrafts. In 2007, she was sold out of the Art of the Past gallery to another art dealer, who shipped her out of the U.S. Before HSI rescued her, she had been sold three more times. Many of Kapoor’s ill-gotten antiquities ended up in reputable galleries, auction houses and museums. The National Gallery of Australia, for instance, purchased one piece for $5 million. 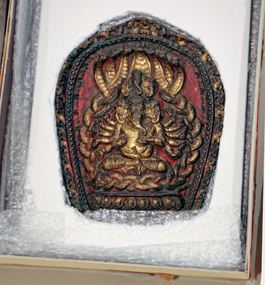 After Kapoor’s arrest, a prestigious private collector on New York City’s Upper East Side who had bought a Hindu idol worth $1 million from Kapoor voluntarily surrendered the piece to HSI. “In the United States, you can’t have good title to stolen goods,” Easter explains. Before Operation Hidden Idol, HSI ran two other stolen-art operations, to which Easter had attached the whimsical code names Lost Treasure and Mummy’s Curse. Since joining the agency, Easter has participated in 100-plus investigations that have recovered several thousand artifacts — more than 10,000 items, if you count individual coins and stamps. Amid all the art looting and smuggling happening worldwide, locating a single object like Parvati — or a Renoir grabbed from Jewish owners during the Holocaust, or a head of King Sargon II, like the one found during Operation Lost Treasure and repatriated to Iraq in 2015 — is more difficult than finding the proverbial needle in a haystack. Sometimes, a well-placed informer drops a dime. A turning point in the Kapoor case came when the dealer’s spurned mistress — an art dealer herself, in Singapore — started singing angrily over the internet. Generally speaking, success follows dogged investigation. When he’s not in the field checking out looted sites, Easter works out of an office on Manhattan’s Lower West Side. He plows through dusty records, follows up on old warrants and does tedious surveillance. He checks out tips, tries to find international fugitives and scours shipping manifests for oddities. Early in his career, Easter impressed his superiors when he located an elusive suspect through a driver’s-license number scribbled on the back of an old canceled check. Serendipity can play a part, too. An ancient Cambodian sandstone torso turned up in a battered suitcase on an airport baggage carousel. A large 2,000-year-old Buddha figure worth millions of dollars was “found” on display in the lobby of New York’s Hotel Pierre. Once Easter was summoned to a coffee shop, where a stranger gave him a package wrapped with brown paper. Inside was a Picasso painting. Even sophisticated smugglers do stupid things. One shipping manifest listed Great Britain as an ancient clay hippopotamus’ place of origin. Really? To no one’s surprise, the hippo proved to be a stolen antiquity from Egypt. More often, though, sophisticated smugglers do sophisticated things. During Operation Mummy’s Curse, for example, Easter was stunned to learn that a piece of a 2,300-year-old Egyptian sarcophagus had been concealed beneath office furniture in a cargo container, undetectable by X-ray. Other parts of the sarcophagus had been sawed off and shipped by express mail to Brooklyn, where they were found in a garage. Easter, who at seminars across the U.S. instructs other federal agents in how to hunt for stolen art, says art thieves work with master restorers who know how to make the effects of such butchery simply disappear. Cultural artifacts have been looted and fenced for as long as they’ve been viewed as valuable. A thief may be the leader of a vicious trans­national network or a local villager out to make the equivalent of a few dollars on a neighborhood find. For their part, museums around the world are stepping up their resolve to keep stolen pieces out of their holdings. Six years ago, Boston’s Museum of Fine Arts hired a curator for provenance, the first such position in an American museum, whose full-time job is to research the often murky past of current holdings and prospective acquisitions. Another is stemming terrorism. 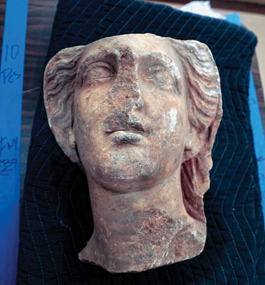 ISIS and al-Qaida smuggle and sell antiquities to fund their brutal military operations. In January, Iraq’s U.N. ambassador estimated ISIS annually rakes in $100 million from artifact looting. By shutting off some of this revenue, HSI helps to derail terrorist activities. When HSI recovers a stolen artifact, its aim is repatriation. “Repatriations bring objects back to people who treasure them, and serve as gestures of good will between governments and people,” Easter says. Although Parvati’s own journey home hasn’t happened yet, Easter anticipates she’ll be repatriated soon. 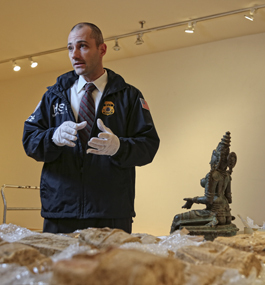 In June, the U.S. government returned to India more than 200 antiquities, many stolen by Subhash Kapoor and recovered during Operation Hidden Idol. One, a statue of a Hindu saint made sometime between 850-1250 A.D., is valued at around $1.5 million. A few months earlier, Easter helped arrange a successful series of raids in New York City during Asia Week, a 10-day celebration of Asian art sponsored by the city’s galleries and auction houses. The five raids, conducted as part of Operation Hidden Idol, rescued eight stolen pieces valued at more than $4 million. Along with its breadth, the depth of HSI involvement in blocking art theft has grown over the past decade, says Easter. In yet another Indy parallel, Easter’s fight to set things right has been captured on film. Last year, Jason Kohn ’01 directed and produced “Hidden Idols,” a 13-minute FiveThirtyEight/ESPN Films documentary about Easter’s pursuit of purloined pieces. True, Easter has never been shot at, outrun a boulder or fallen into a snake pit. Nevertheless, he says, his work does make him feel like Indiana Jones sometimes. Theresa Pease is a freelance writer who lives in Falmouth, Massachusetts.